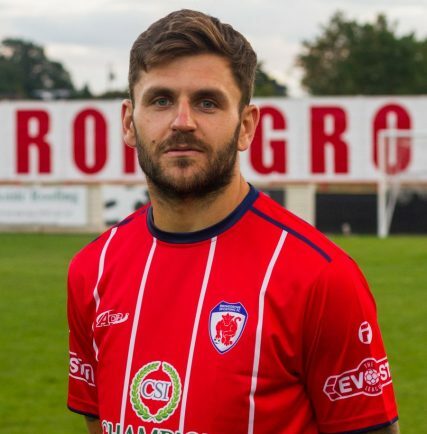 Bromsgrove Sporting skipper Craig Jones writes for The Standard in his weekly column, providing his thoughts on the recent results, the support for the club, and this weekend’s Kidlington fixture. HAPPY new year to all Rouslers fans, I hope you all had a great festive period. It’s been an up and down period for us, we probably haven’t got the amount of points that we would’ve wanted over the busy period. Performances have been hit and miss, with injuries not helping our cause, but we now need to show togetherness, character and mental strength to get back on track, something I’m confident we will do. The support from the fans over the Christmas period has been nothing short of brilliant. To get the amount of fans we have had both home and away at that time of year speaks volumes about where this club is going. A big thank you must go to everyone who’s turned out to support us. This is another incentive for the boys to get back to winning ways. I’d also like to put on record my thanks to Kev Barry, who has departed the club. On behalf of the lads I’d like to wish Kev the best going forward, there’s no doubt he will be missed. It’s important that we focus 100% on our next game, which will not be an easy one away at Kidlington on Saturday. Although they are bottom of the league, their results have picked up recently and we will need to make sure we are on it from the start. The pitch looks a bit heavy so if we need to roll our sleeves up and grind out a battling result, then that’s exactly what we will do.